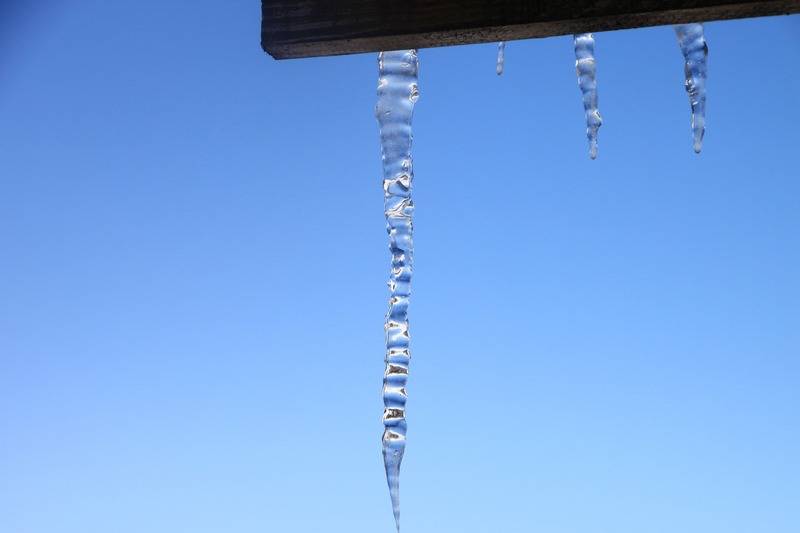 Great Winter Roofing Tools, Additions, and Practices! Welcome to our second Winter blog of the 2019! This time, we will be continuing with the focus on Winter’s weather hazards and providing some solutions that anyone can apply and some that may require a little help from your local roofing company! Winter is the season packed with holidays, gorgeous snowy views, and fun seasonal activities! However, along with enjoying this season’s greetings, as homeowners, it's important to keep your roof checked and prepared for Winter’s weather hazards. In this blog, we’ll be discussing two common dangers one should be on the lookout for during this time of the year, so that your new year starts with a solid roof over its head! Last time in part one of the "What Roof is Best for You?" blog series, we covered both slate rooftops and shingle rooftops, as well a few different options when it comes to the color and type! Now in this blog, we'll continue with two different roofing types that may be exactly what you're looking for! How Does the Rhinobond System Work? 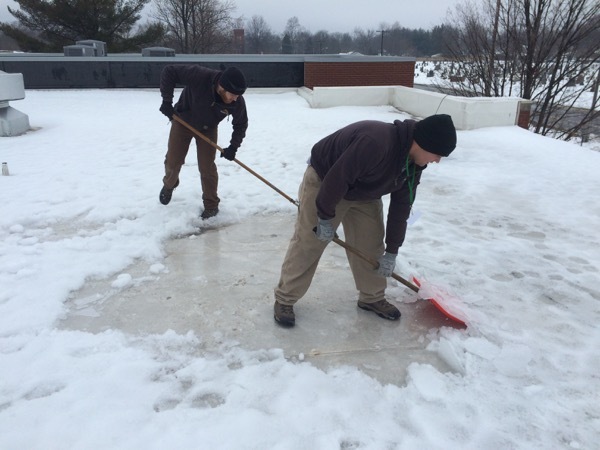 Ponding, blistering, splitting, and ridging are all common problems people experience when a building or facility has a flat roof. 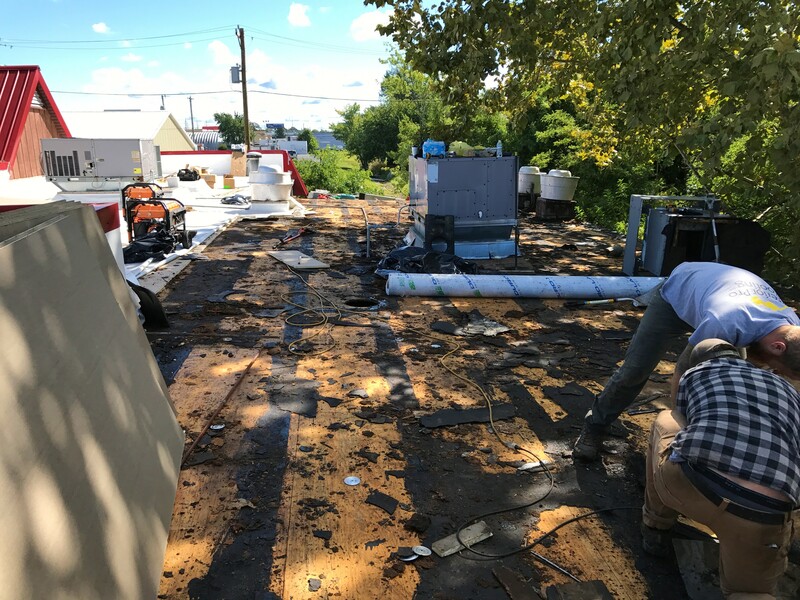 When these problems occur, it could costs hundreds, if not thousands of dollars to repair the flat roof so it is structurally sound and fully functional. In an effort to not only save money, but prolong the lifespan of the roof, it is important to conduct regular, routine roof maintenance. 1. 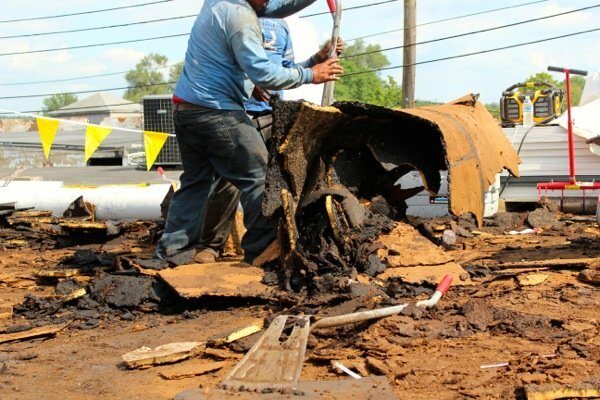 How does a flat roof recovery work? The basic idea behind a flat roof recover is to use a PVC membrane to cover over the existing flat roof. Our PVC roofing is used in new construction projects because of its over all strength and performance but it has been engineered to recover existing flat roofs and weighs only 1/4 per sq ft.
How Much Does Flat Roof Repair Cost? At first glance it seems like there are literally hundreds of flat roof repair options and products on the market. 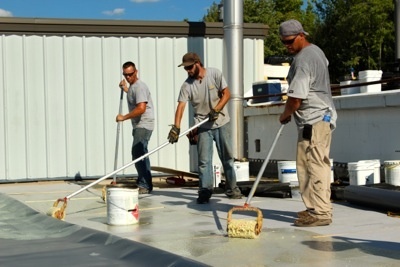 It can be a daunting task to sort through page after page of information about the features and benefits of each product and each commercial roofing company has a different solution as to how to best repair your flat roof. But at the end of the day, there are really only three options. 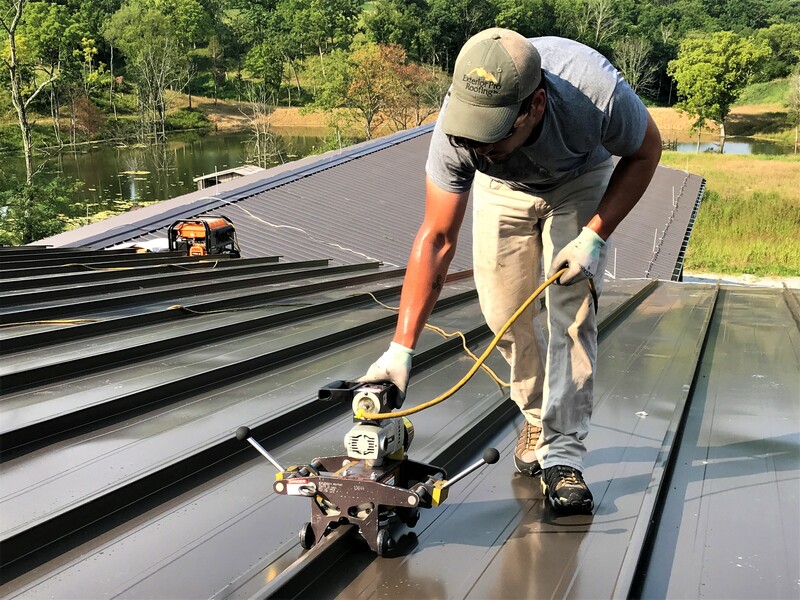 Many building owners are surprised and optimistic when they find out about how their existing roof could be recovered with a PVC membrane saving the cost and mess of tearing off the old roof. 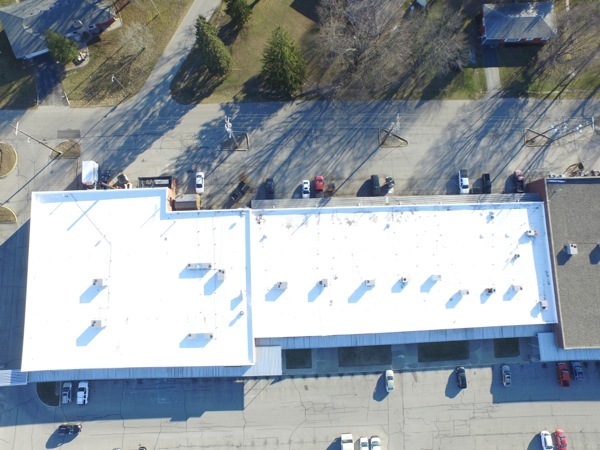 The substantial cost savings of recovering your existing roof with a PVC membrane as opposed to tearing the old roof off and replacing it is enough for even the most skeptical building owners to give it a second look. 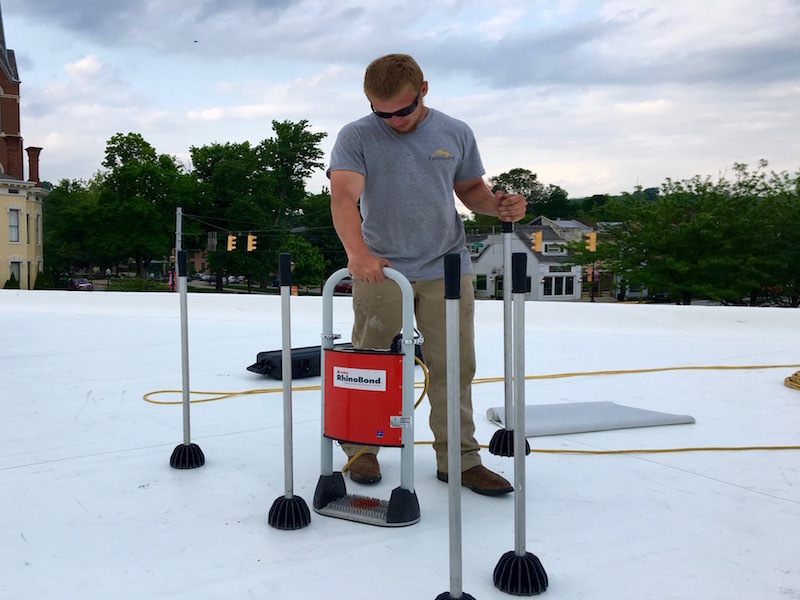 Advances in flat roofing technology have let building owners with more choices than ever when deciding which flat roof repair option is right for their building. 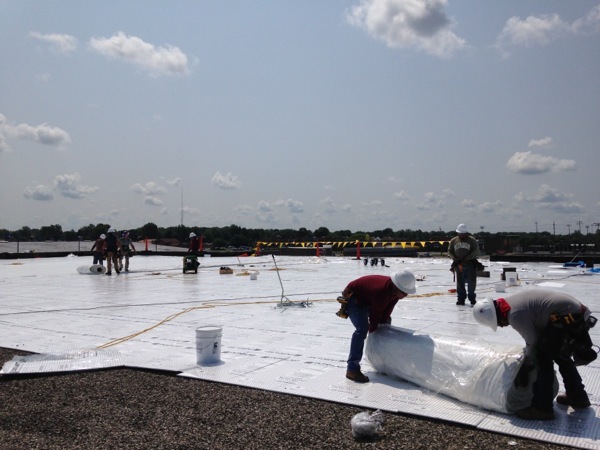 The development of fabric re-enforced roofing membranes have allowed for an attachment method that eliminates the need to glue down or fully adhere rubberized roofing membranes. 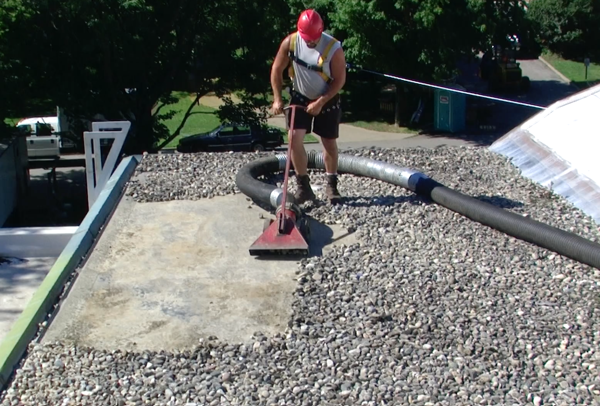 The more advanced and stronger way flat roofing membranes can be installed is by using an attachment method that is called mechanically attached meaning to be screwed down.